3 BEDROOM, 1 1/2 BATH TOWNHOME IN OAK TREE VILLAGE WITH NO HOA IS ON THE MARKET! YES, NO HOA! PREMIUM STYLED LAYOUT INCLUDES 2 CAR ATTACHED GARAGE & FULL BASEMENT. UPDATES TO HOME INCLUDE HVAC, WATER TANK & SUMP PUMP IN 2018, ROOF & FENCE 2016. CARPETING ONLY 3 YEARS OLD. 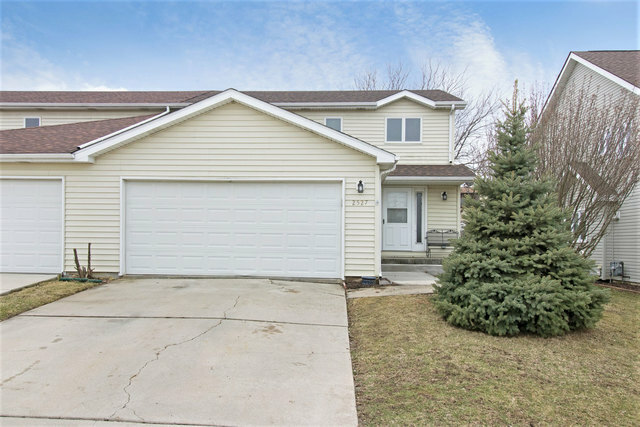 WELL MAINTAINED HOME WITH SPACIOUS LIVING ROOM! LARGE ENTERTAINING KITCHEN AREA INCLUDES EAT-IN SPACE, 32" OAK CABINETS, PANTRY & ALL APPLIANCES. 1ST FLOOR FULL SIZED LAUNDRY! DYNAMIC 16X12 MASTER BEDROOM W/2 CLOSETS (1 IS JAW DROPPING!). WELL MAINTAINED HOME IS LOOKING FOR NEW OWNERS!